Becoming extremely popular and relevant in worship music over the past few years; Jesus Culture, comprising of Kim Walker-Smith and Chris Quilala on lead vocals, have poured their heart and soul into their music and have given us gems and offerings that we all love and enjoy. There are upbeat anthems as well as slower paced ballads that have given us all hope and assurance that God is with us and never too far away. Songs like “Rooftops”, “Alleluia”, “Show Me Your Glory”, “Forevermore”, “I Belong To You”, “Come Away”, “Burning Ones”, “Your Love Never Fails”, “One Thing Remains”, “I Want To Know You”, “Fierce”, “My Soul Longs For You”, “Alive In You” and “Miracles” have all touched our hearts and inspired us to live more and more for Jesus, with the movement being directed at young people. In my opinion this worship collective that is sure to win over the hearts and souls of even the uninterested listener with just one song, has accomplished their goal and then some more, somewhat redefining modern worship music. Yet while Jesus Culture have been instrumental in changing many listeners lives, don’t you reckon it’s time that we’re presented with and shown something different yet equally enthralling and impressive? Kim Walker-Smith, having released previous solo worship albums Still Believe and Here Is My Song, is back with her third full length solo studio album On My Side. Though not as musically diverse and experimental as Chris Quilala’s album Split The Sky last year, Kim’s Capitol Christian Music Group debut nonetheless is impressive and inspiring, as we fall down in worship with Kim in these 12 unbridled moments of praise to our Father, Saviour, Maker and Friend. Opening with an electric guitar and synth led mid tempo worship anthem “Brave Surrender”, cowritten with Ben Cantelon; Kim ardently reminds us all that ‘…I’m letting go, brave surrender, I’m taking hold, of life eternal, on the other side, I will find You, leaving my fears behind…’– this song is perfect as the album opener, with the laid back, worshipful atmosphere complementing the accessibility of the lyrics and the earnestness and intensity of Kim’s vocals. CCM is the next genre on the agenda that is tackled in “Glimpse”, the second promotional single, and one of the most left-field songs you could ever hear Kim perform. But she performs this melody to perfection. With pulsating drum beats and a club/dance atmosphere fit for bars, discos etc; Kim ardently reiterates that all she wants is a glimpse of Jesus’ reality- that our desires may align completely with His. Majestic and powerful in delivery, the near-flawless “Glimpse” segues into the thoroughly enjoyable “Throne Room”. Marketed as the first single, the synth prominent mysterious, ethereal piano ballad turned orchestral cinematic experience has Kim fervently highlighting the fact that ‘…I fall on my face, with angels and saints, and all I can say is Holy, Holy, Holy are You God…’. As Kim cries out in utter desperation and an unbridled passion and joy hardly seen in Christian music; “Throne Room” is worship at its finest and rawest, and is one of my favourite worship songs of 2017 period, as we remember that Jesus and only He alone is holy, that all we can say to the Almighty is “Holy, Holy, Holy”! The rest of the album continues the stellar offerings thus far, placing Kim’s album as one of my favourite albums of 2017, and Kim one of today’s sought-after worship artists. “I Know” is CCM and pop in nature, complete with engaging electronic effects for added depth, as Kim teams up with Urban Rescue frontman Jordan Frye, both composing a simple yet effective melody of us being certain that with Jesus ‘…nothing is impossible…every chain is breakable…on Christ the solid rock I stand! My fear, is conquered by His perfect love, my life, is ransomed by His royal blood…’. Encouraging us to emphatically declare God’s goodness and majesty, that we know in our hearts that Jesus is who He says He is; Kim then dials back the tempo in the spine-tingling, out-of-this-world piano led ballad “Awaken Love”, cowritten with Jeff Pardo and Brenton Brown. Standing tall at 5 minutes long, there’s something truly magical as we are invited into a space of no condemnation and no judgement, worshipping our Saviour asking Him to come into this place and fill us with the longing to draw closer and closer to Him. Simple lyrically, Kim still displays to us an anthem for the ages, as quality isn’t compromised here. Jordan Frye lends his writing prowess yet again further on in the tracklist, with “Just One Touch”, where Kim dives in deep into the persona of the woman who touched Jesus’ cloak, as she emotionally cries out that ‘…here at the end of me, You are my victory, I’m trading my scars, for all that You are, for just one touch…’, while the music builds and builds throughout the duration, with the seemingly soft piano ballad ending up a vibrant, explosive orchestral and cinematic/soundtrack experience like no other- there’s no song like it on the album, particular when you dwell upon the strings present here adding another layer. Piano is also at the forefront in “On My Side”, a personal, honest and emotional ballad that divulges the ever-true fact that Jesus is on our side, that He alone is faithful and can be trusted to be in our corner, all the time. Inspired by Psalm 34:18, Kim reminds us of the fact that in any circumstance, good or bad, big or small, Jesus is with us, thus we have nothing to fear- a fact that should bring us comfort and healing. Trying her hand at 80’s music, Kim brilliantly creates a heartfelt and captivating ballad as she ardently cries out praises to God in “You Define Me”, that ‘…only Your words, define me, You tell me who I am, only Your love, can hold me, You make me who I am…’; while both “Rise” and “Undone”, both unoriginal in terms of song title, are nevertheless musically very compelling. The former is a synth driven electronic 80’s ad 90’s throwback to Nintendo 64 and Gameboy, as Kim passionately reminds us that Jesus says to us ‘…rise, You say rise, and draw me from the ashes of the night, so I rise, yes I rise, to live inside the heart that beats with mine…’, similar in theme to Ezekiel praying over the dry bones, commanding them to rise up because God told them to; and the latter a moving and soothing piano ballad, where Kim emotionally reiterates that she is overcome and undone by the weight of everything Jesus has done for us on the cross, all because He loves each one of us. While the part-spontaneous free worship themed “Fresh Outpouring” closes the album with passion and gusto, as Kim emotionally declares in this album highlight and electric guitar mid-tempo melody that she longs for revival to come, for God to reign fire down from heaven to us, and for us to be so filled with the Holy Spirit that all we long for us His presence and nothing else! 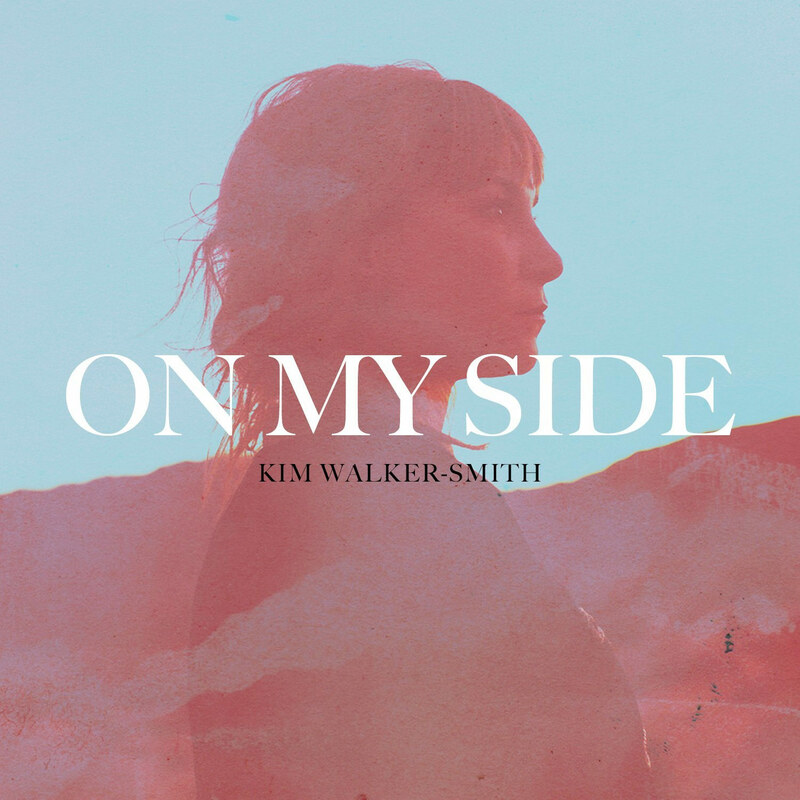 An emotional and fitting end to such a multifaceted album, Kim Walker Smith’s On My Side is a worship project needed to be heard to be believed! Though I was more optimistic about Kim Walker-Smith recording a solo album than Chris Quilala (although he did prove me wrong! ), in that Kim has recorded as a solo artist before, I didn’t know how the debut on Capitol Christian Music Group would sound like. Thankfully, let me say that On My Side is one of my favourite albums of 2017, and I definitely would encourage all of you worship enthusiasts, or even fans of Christian music in general, to check out Kim’s latest project, as she shows us why she is one of today’s top worship leaders ever. Well done Kim for an inspiring and thoroughly enjoyable worship project, one that has me excited for future Jesus Culture’s future projects!